Radius Systems are fully committed to continual product improvement and innovation, providing our customers with the highest quality pipeline solutions, with enhanced installation efficiencies and increased asset lifetime. Increased visibility of maximum operating pressures (MOP) for gas and water, embossed on the fitting. 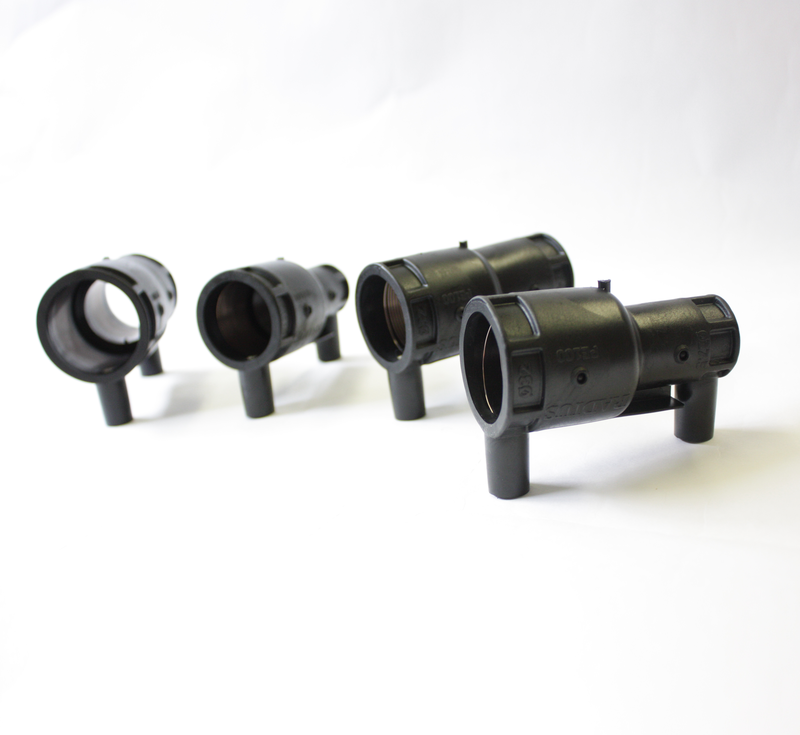 Our newly designed reducers will replace our current range and will be available from September 2017, with existing stock of fittings being phased out. For more information on our redesigned reducers, please contact your Regional Sales Manager or our Customer Services team on t: +44 (0)1773 811112.